NEW YORK, NY.- The Latin American Art Modern & Contemporary sale on 28 and 29 May 2014 will feature outstanding examples from many of the major art movements of the 20th century. The sale is led by a magnificent group of Cubist, Constructivist, Concrete, and Geometric works from Mexico, Brazil, Uruguay, and Venezuela. Other highlights include an early Cubist Diego Rivera painting and a large-scale constructivist Joaquín Torres-García from 1937. The Cuban Vanguardia section includes pieces by Mario Carreño and Cundo Bermũndez, while Contemporary artists such as Arturo Herrera and Vic Muñiz are also represented. The pre-sale exhibition opens on Saturday 24 May. 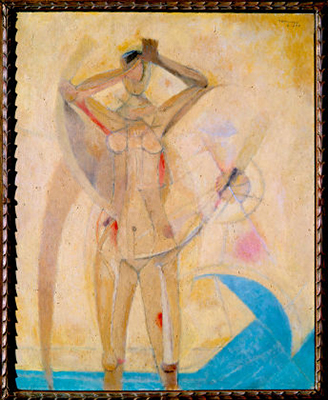 View more Rufino Tamayo works here.